Improve the quality of care and the patient experience with the SB1-HC. In hospitals and clinics, there are literally thousands of tasks that need to be performed every day - and the timeliness and accuracy of those tasks directly impacts the quality of care patients receive. 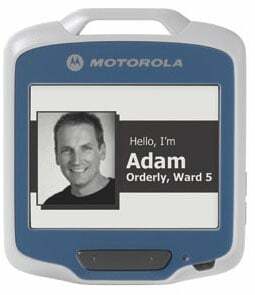 But the cost of outfitting your entire health care staff with a mobile device that can streamline and improve task management has been prohibitive - until now. 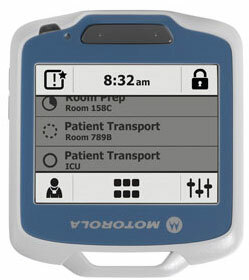 The SB1-HC is an affordable mobile device that provides every health care staff member with the features and functionality required to ensure swift action and task accuracy. With its ability to run task management applications, you can easily create a task list for each worker and track task status, while robust barcode scanning streamlines and error-proofs the execution of a wide variety of tasks. 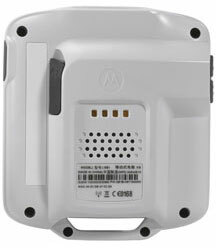 For example, technicians can scan equipment ""such as holter recorders, pulse oximeters and defibrillators to validate maintenance is about to be performed on the proper piece of equipment. Items in a supply cabinet can be scanned to automate inventory counts and replenishment, ensuring that critical supplies are always available when needed.